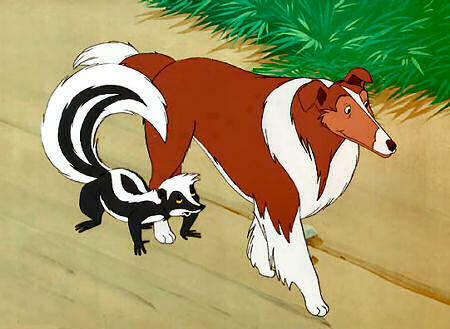 Lane Scheimer - Ben Turner, Jr.
Lassie was the creation of author Eric Knight in a story he wrote for her daughter. Lassie was a collie who faced any odds to be reunited with the boy she loved. The character made her debut in a short story Knight penned for The Saturday Evening Post in 1938. He later expanded it into the 1940 novel Lassie Com-Home, published by The John C. Winston Company. When the novel proved a critical and commercial success, Metro-Goldwyn-Mayer approached Knight about acquiring the rights to the book to adapt into a feature film. The film version of Lassie Come Home starring a young Roddy McDowell was released in October of 1943, ten months after Knight’s death. The film was a hit, earning almost $5 million at the box office and leading to a series of sequels; five of them released in the 1940s alone. During this period, Lassie was also featured in a radio program which originated the well-known theme song by Les Baxter. After the seventh film was released in 1951, MGM had no further plans for the character or Pal, the dog that portrayed Lassie. Pal’s owner and trainer Rudd Weatherwax acquired the rights to the Lassie trademark from the studio in lieu of back pay and took Pal on the road to various venues. He was approached by television producer Robert Maxwell about bringing Lassie to the relatively new media. Weatherwax and Maxwell devised the boy and his dog scenario set on a weather-beaten, modern American farm. Lassie debuted on CBS in 1954 and ran for an impressive 17 seasons. 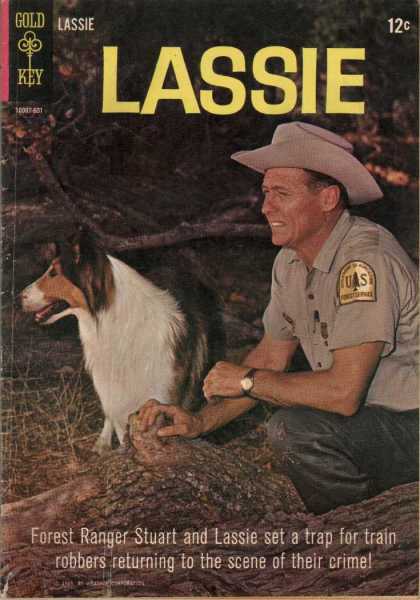 Gold Key comic issue depicting the later years of Lassie. During the show’s 11th season in 1964, the decision was made to completely rework the show. 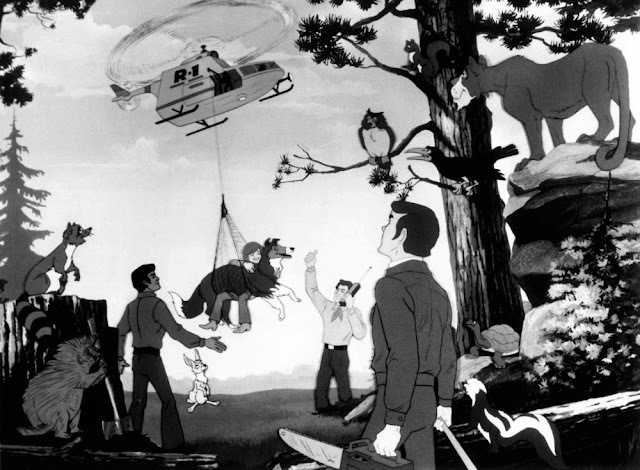 Lassie was moved from the farm to become part of a group of United States Forest Service workers and stories revolved around environmentalism and conservation. Unfortunately, the change in the show didn’t fit the changing social views of society and the ratings steadily declined. When the FCC passed down new rulings designed to restrict how many shows were produced directly by the networks in order to allow fair competition for other companies, CBS took that opportunity to cancel the show. The final episode aired in 1973, but the show had already been airing in syndicated reruns for two seasons and would continue to do so for years. Wanting to get a bit more mileage out of the property, Jack Wrather, who had purchased the rights to the show in 1957, contracted Filmation Associates to adapt the concept to animation. They produced a one-hour pilot movie called “Lassie and the Spirit of Thunder Mountain” that aired during the first season of The ABC Saturday Superstar Movie in 1972. Lassie (whose vocal effects were taken from the current “Lassie” at the time, Hey Hey) lived with the Turner family on a ranch near Thunder Mountain. An unscrupulous contractor named Aaron Lipton tried to steal the ancestral Native American land from the tribe who lived there, but the Turners and Lassie stood in his way with the aid of Lassie’s friends: Old Toothless, a harmless mountain lion; Edgar, a crow; Groucho, an owl; Fastback, a turtle; Robbie, a raccoon; Musty, a skunk; and an unnamed rabbit. The Turners and Gene Fox. The following year, Filmation brought the pilot movie to series. The Turners and were now part of the Forest Force, dedicated to protecting the forest and those who ventured there. That brought the cartoon more in line with the shift that the live-action series took several years prior while still maintaining its original family-oriented element. They were not only aided by Lassie and her friends, but by Native American Gene Fox (Hal Harvey) who knew Thunder Mountain National Park better than anyone. Lane Scheimer assumed the role of Ben Turner, Jr. for the series from Keith Allen, while reprising their roles were Ted Knight as Ben, Sr., Keith Sutherland as Jackie, Jane Webb as Laura, and Erika Schiemer as Susan. As with other Filmation projects, each episode was followed-up by a Public Service Announcement about environmental concerns. Promotional image of the entire Rescue Rangers team. 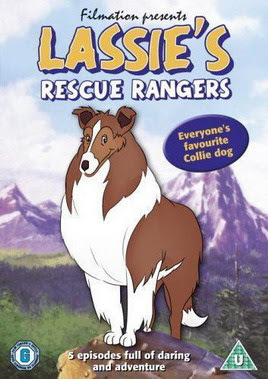 Lassie’s Rescue Rangers began on September 15, 1973 on ABC. Hal Southerland directed the entire series, while Ray Ellis (as Yvette Blais) and producer Norm Prescott (as Jeff Michael) composed the series’ music. Unlike the earlier Lassie efforts, Rescue Rangers proved unpopular with audiences, Weatherwax and the National Association for Better Broadcasting, who released a statement declaring it the worst show of the season. The show ended its run that December, with ABC promptly cancelling it. In the 1980s, Family Home Entertainment released several episodes to VHS in North America. Additional episodes were released in the United Kingdom by V.I.P Video Gems and Channel 5. In 2006, Universal Pictures UK released a collection of episodes onto DVD with two different box cover art designs. “Lost” (9/8/73) – The Rescue Rangers try to find a lost boy. “The Animals Are Missing” (9/15/73) – A series of earthquakes leads the Rescue Rangers to discover a valley is more populated than they believed. “Mystic Monster” (9/22/73) – A comet crashes in the forest and it may have brought a visitor with it. “Lassie’s Special Assignment” (9/29/73) – Ben is sent to rescue a scientist from an enemy by a recorded message. “The Imposters” (10/6/73) – The Turners are framed and arrested for a crime. “Deadly Cargo” (10/13/73) – The Rescue Rangers are kidnapped by criminals as a way to get their drugs back. “Grizzly” (10/20/73) – A grizzly bear prevents the Rescue Rangers from putting out a fire to save a city. “Deepsea Disaster” (10/27/73) – A Navy reject spoils the Rangers’ underwater vacation. “Black Out” (11/3/73) – When a town goes dark, the Rangers have to find missing citizens and contend with a thief on the loose. “Arctic Adventure” (11/10/73) – The Rangers have to find missing firefighters so they can put out a blaze and save a town. “The Sunken Galleon” (11/17/73) – The search for a missing diver leads the Rangers to a sunken treasure ship and an enemy submarine. “Gold Mine” (11/24/73) – Gene is taken hostage by the pair his family rescued as they carry out their plot to rob Fort Knox. “Rodeo” (12/1/73) – A series of strange accidents at the rodeo makes it seem like someone is out to get Ben’s friend Jerry Carr. “Hullabaloo in Hollywood” (12/8/73) – The Rangers find trouble during the filming of a movie. “Tidal Wave” (12/15/73) – An earthquake causes tidal waves to attack Florida and interrupt the Rangers’ vacation. “Spirit of Thunder Mountain” (11/11/72) – A businessman attempts to steal land from a Native American tribe.